Too Much Praise: Can It Backfire? I live in a town where kids’ sports teams seem to have gone a little bananas. Now, given I have never had a 7 year old anywhere else, I don’t have much to compare this to, but last week I overheard a conversation between parents, and to sum it up, here is the news: if your kid does not make the competitive, travels every weekend, and by the way is super pricey soccer team in second grade, well, bye bye soccer, because they are washed up, behind, and stuck in doors from here on out. (If you are reading this and are thinking “ I have a newborn baby, what’s this got to do with me? Hang in there, I’m bringing this around, and it absolutely applies to baby raising!) It’s easy to get swept up in this. Having heard this message loud and clear, my husband asked if we should get my little man some private soccer coaching to help him prep for his tryout. Did I mention he’s 7? So, I have this kid who loves sports. He likes soccer, in fact he really loves being part of the team, and he’d be super bummed if he had to stay in doors for the rest of his life. Does he come home every day and on his own decide to practice soccer? NO! Because he’s 7. We had to really grapple with this one. While I certainly want to support my child’s interest and set him up for success, was this too much? By stepping in, and over helping would I be inadvertently robbing my son of the opportunity to decide what loves and wants to work hard at and, as a result also rob him of all the juicy learning opportunities and internal motivation that come from failure? The research says, YES. This whole conversation has me thinking about resiliency and how to foster self esteem in our kiddos from the start. Anxiety is on the rise in young children, especially prevalent in more affluent communities. One theory is that with all this opportunity and lack of struggle, kids are not learning how deal with challenges, come back from mistakes and are anxious about not living up to whatever label they have been ascribed such as, “smart”, “good at sports”. 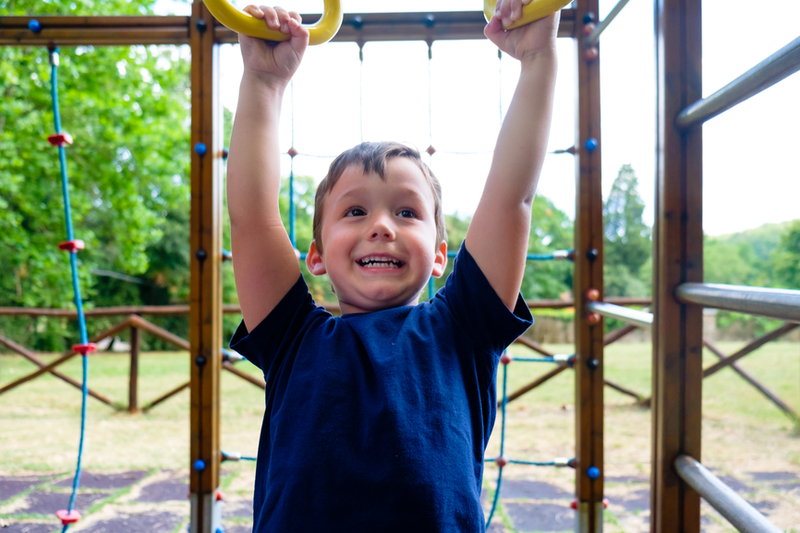 In an effort to make our children feel good about themselves, we may have over-praised, resulting in reduced achievement, and causing our kids to lose their inner drive, and instead be motivated simply to get more praise. This teaching begins when our kids are babies. Partly because this may be almost like learning a new language for parents as we tune into the quality of our praise and feedback. How we speak to our children as babies can absolutely have an effect on their own relationships with challenge and managing frustrations big and small. This is a tough one and part of why I say, start when they are babies, because you will probably need some time. Now, this is not about never praising your child, it’s about thinking about the quality of your praise. Babies are absolutely developmentally in need of our feedback, but when I think about the times I say “ good job “ to my kids, it’s usually when I’m making dinner, driving, or thinking about something else and don’t know what else to say. There are a couple of negative side effects to “ Good Job”. First, if my kiddo says “ Look at my painting!” and I say “ Good Job!” I have just decided the feeling child should have about their work. Perhaps it would have been more meaningful, for me to notice, “ Oh, I see you used a lot of purple, what do you like about this?” This gives them room to say either ‘“ yes! I love the splash of red, and that I worked so hard on it” and feel proud…or “ I don’t actually like it, I was showing it to you because it's funny how bad it is.” Another example, baby eats some pureed veggies and we say while clapping and perhaps throwing confetti “ oh, good job, you did it!” what message does this send to baby? Do we want baby to eat because it makes mommy happy? Is it bad if I don’t actually enjoy blueberries, or am not hungry? Does this foster a healthy relationship with food? Perhaps a different approach that encourages baby’s internal locus of control would be “ oooh, it looks like you are liking those blueberries, did you want more?” The second piece, (well actually I could talk about this one for hours, but I’ll just go over two) is that research has found that saying “Good Job” constantly to our kids actually reduces achievement. What?! I know. Not only does this statement get in the way of independence pleasure and interest, research has found overwhelmingly that kids that are praised for a task tend to stumble on the next, and do not do as well as children who were not praised at all. They are afraid to try, afraid to make a mistake and avoid the challenge. For our babies that learn to walk, Let’s praise the process as opposed to the end goal. So, when your little begins to take those first steps, instead of “good job!” , perhaps a more meaningful and motivating statement, would be “ Look at you, you are standing on your big strong legs, using all your muscles and trying so hard.” It’s the effort they crave, and I would argue, need us to acknowledge not the end result. There is vast defiance between sharing in our babies experience and superimposing our own feelings. And, by the way, our kids, they know, even as babies, when they didn’t actually do that good of a job, or try that hard, so it’s ok to notice that too. So, Carol Dweck, a psychologist at Stanford, studied the effects of praise on grade schooler, and it’s pretty fascinating. To sum up, after giving two groups of kids a test, one group was told “ you must be really smart at this” while one was told “ you must have worked really hard at this.” Then the kids were given a choice for the second round and told that one test was more difficult, but they would learn a lot. Most of the “smart kids” took the easy road, while the other group overwhelmingly chose the more difficult task. The reason? The kids that were labeled “smart” wanted to stay looking that way, assumed they were born that way, AND had were afraid to fail and lose their label. The kids who were praised for their effort got the message that achievement was something in their control and were excited by the challenge rather than motivated by the praise. We all have skills that may come easier to us than others. But man, doesn’t it feel so much better when you accomplish something you have worked at than something that was easy from the start? If I just label my kiddo as “ good at sports”, what happens to him if he wants to be in the play, or the chess club? Will he try if it may not come naturally, or does he feel too boxed in to his “Sporty Guy” role. When in doubt, I try to go with “ wow, you must have worked really hard, or practiced, etc.” I will admit, I'm actually predisposed to not want to try things unless I know I will be good at them, and I am aware this is an area where I need to stretch myself as a parent. Even though no one in life has ever complimented my sporting abilities, I make it a point to get out of my comfort zone and get in on the action with my boys. When I am out there playing catch with my sons, know what they say? " Dang, mom you really need to practice." They could be grossly overestimating my abilities, but you get the point. I want my littles to understand that they have power over a situation because they can influence the result given their effort. Yikes, I know, but super important for us, as the teachers to model trying, failing AND repair whether that is repairing your burnt cookies or relationship repair and conflict resolution while offering our littles an emotional language to make sense of it all. For me, the experience of being a mother is a constant process of letting go. In fostering self esteem and resiliency in my children, some letting go definitely needs to happen, and it’s so hard! How can I raise the bar by doing less? By taking our praise to a higher level, our babies can learn to do things, not to please us as parents, but instead will learn about their own passions and develop an internal locus of control….which, trust me, we will want them to have that as teenagers! Being the witness as opposed to the judge, determining if this action is good vs. bad, can have lasting effects on how are littles think about and view themselves in this world. With babies, adopting a Wait, Watch and Wonder approach allows you to connect in a deeper and more meaningful way to them as you share in ALL of their moments, easy and challenging, successes and total wipeouts. PS: Want to nerd out with me on this topic and are not in Mama + Babe? Email me and I can send you some articles! Today is International Women’s Day. As I scroll through my Instagram feed, I am moved by friends posting pictures of their daughters with notes about their hopes for continued strength resiliency and a dream of gender equality. As a mother of sons, I feel the enormity of my role. I feel the weight and responsibility of raising kind, sensitive men who will honor this day proudly and treat all humans with equal respect and dignity. Quite frankly, I feel the intense weight of raising my boys to not be A**holes. In my Mama + Baby groups , one of my favorite topics is Gender + Sexuality, mostly because the moms always look a me a little funny when I bring this topic up in relation to their sweet baby. I think how we think about gender and sexuality ourselves informs how we will relate to our kiddos, in addition to the lessons we consciously teach. 1) Model Healthy Gender Roles at Home: I will never forget when my first son was a toddler, something my own father said about watching my husband parent our child. He took us aside one day, and said “ You know, I never realized how much I missed out on as a dad until watching you (my husband) become a dad yourself.” Now, my dad was a great dad, but in that time period (cuz yes, i’m old) his “Dad Role” was to bring home the money and my mom was to take care of the children, teach strength to his boys and give hugs to his girls. He never once changed a diaper, planned a meal, or woke up in the night. In this day and age, I am noticing dads involved in the parenting in a much more balanced and hands on manner than it ever has been before. This re-enforces the message to our children that taking care of babies is the job of both parents (if there are two) and the division of labor does not have to be predetermined by our gender. To that end, if you are in a two parent household, remember to present a united front. 2) Make Space For Tears: I actually cannot stress this one enough. I was at the park one day and happen to see two scenarios play out at the same time. I was with my friend and her child (who happens to be a boy) fell down. Now my friend, I would describe her as feminist minded and obviously well intentioned, but what she said was “ your’e ok, shake it off.” Not sure about you, but if my husband told me “Your’e ok” in the midst of my cry, we may be having a problem. At the same time, across the park I noticed a little girl scraped her knee on the slide and was crying into her dad’s arms as he allowed her space to let all of that feeling out. In my home, my first son, despite all of my nurture vs. nature beliefs came out of the womb all stereotypical dude. He tends towards the physical, loud, rambunctious, fiercely independent with a flair towards fearless. He also rarely cries. His natural tendency is actually to tough it out. I always think our work for him, as his parents, trying to encourage him to be empathic and sensitively assertive, is to encourage him to tap into and let those feelings out. The area I am always conscious about stretching in his temperament is sensitivity, both to himself and others. It’s so important for both of us to be sending the message that boys, girls, grown ups, we all cry, just like we laugh when we think something is funny. 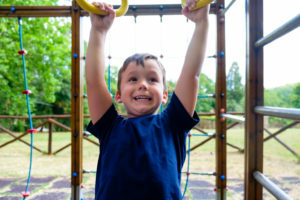 If you were to go to the park tomorrow and really tune in to the different ways people inadvertently speak to boys and girls, you may be amazed. Even the nicknames send a message. When we reserve “sweetheart “ for girls and “tough guy” for boys, what message are we sending them about our character values? 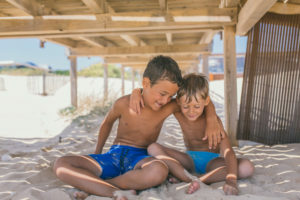 Unfortunately, what I do know is that our boys will eventually be receiving pressure to appear strong when they feel vulnerable, or that to “be a man” means stifling their emotions on the spot. The more we can do to teach and encourage the expression and acceptance of a broad range of emotions, the more solid they will be in their own humanness and ability to express compassion. 3) Re-enforce the Person Not the Gender: So remember my first son, who leads with assertive and we work on the sensitive? Enter dude number 2. It continues to boggle my mind that my husband and I produced two boys, who look so similar, but are such wildly different humans. My little guy has a more easy going temperament. He enjoys imaginative dress up play more than sports, he will freely give up his toys to whoever asks, he talks to EVERYONE and if the wind even grazes his toe, boy will he cry about it. Given his temperament, our work as parents tends to stretch him more in the are of being assertive and speaking up for himself in a way that ensures he will be heard. Two boys, different people. Take cues from your child first, as opposed to members of a gender. For instance, are there any messages we send to our littles in play? We might see dads rough housing with boys, but playing more quiet games with their daughters. This sends a message, and our tiny humans are picking it up loud and clear. Does this difference in type of play teaches our daughters that they are expected to be sensitive and delicate, while teaching our sons to be aggressive? I think teaching tenderness AND assertiveness is a better way to achieve balance. Try to think about your own child’s temperament, and adjust your play, actions, etc. to meet the child rather than their prescribed gender. For instance, I often see people assuming that a girl will be more comfortable with a hug, while the boy would appreciate a high five in greeting. 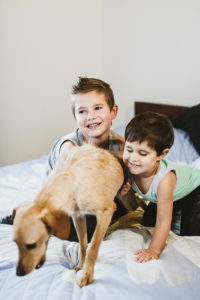 Back to my two boys, you guessed it, number 1 is not into hugging strangers, while my little one would hug ANYONE….different temperaments….different parenting task. 4) Teach the value of equal difference: By being a role model for equality in your own household, you are actually teaching empathy, kindness and respect. Being different does not imply less than. It is important for children to learn that all genders are equally valuable. In my opinion, sexual equality doe not have to mean sameness, but equal value, equal opportunity. This is something to pay close attention to in how we communicate with our partner at home, both verbally and non-verbally. Again, our little people are watching and soaking it up like a sponge. I always tell my clients, “ if you have a conflict in front of your child, make sure to make up in front of this child as well.” It’s important to model respect for your partner in your child’s presence. This can be communicated by complimenting and appreciating your partner’s effort in from of the kids. In our house, I usually make the dinner. My hubby is not naturally a particular verbally demonstrative guy, but in the spirit of teaching our boys to be kind humans, he makes a point of verbally appreciating the effort I made in putting together the meal. Do I need that every night? No, but my boys sure do. Here is the reality, children who are taught to value and respect other genders are way less likely to grow up to harass others. 5) Value Kindness: As my kiddos get older, this has really been on my mind. I consider myself to be a pretty nice gal. I mean, geesh, I am sensitive as all get out, I think about others and I was a social worker for the majority of my career. That counts for something, right? Won’t my kids just naturally pick up on that and share that value? Not necessarily, they need to see it. This goes back to consciously role modeling for our children what is important to us in our family. As my guys have grown and our days have become busy with activities and everyday hussle, that conscious teaching piece gets lost sometimes. So, every night, and we started this when they were babies, we do something called “ Best, Hardest, Helping.” We go around the table and everyone shares the best part of the day, the hardest part and the way they helped somebody. Aside from giving our often chaotic meals a little structure, we are teaching our boys some of our core values as a family. We are celebrating their success, helping them learn from their challenges, and highlighting the importance of kindness and helping others. The more we highlight to our kiddos what is important to us as humans, the greater chance we have that they will incorporate those values for themselves and apply them to their interactions with the world. ok, gang, those are just a few of my ideas. On this day, I want to remind myself that for every girl who is being called over-sensitive, there is a boy who fears to be gentle, to weep. I remind myself to celebrate individuals and difference. Most of all, I remind myself to shower my boys with hugs, listen to them intently and cheer them on through their struggles and challenges just as much as though their success. Don’t Change A Thing: If you have noticed that your baby has a relatively easy going temperament, this one’s for you! Simply move your clock ahead to the new time after your baby has gone to sleep on Saturday night. Your baby will wake up at their normal time Sunday morning, which will now be an hour later on the clock. So if your baby was an early riser and consistently waking up at 5:30am, then your child will now wake up at 6:30am according to the new clock. Proceed with your normal daily routine according to the new clock. Meals and nap times tend to go pretty smoothly with this method, but you may find that come nighttime, your baby or toddler isn’t feeling so sleepy. This is because if you are putting your child down at their “regular” bedtime (let’s say 7:30pm), but 7:30pm tonight was 6:30pm just the night before. Therefore, you might need to be a little flexible with bedtime, maybe putting your child down somewhere in between the old clock and the new clock. Then for the next few nights, keep shifting bedtime up until you are at your child’s regular bedtime according to the new clock. Start to shift your baby’s feeding and sleeping schedule slowly ahead of time. This method is tried and true if you have noticed that your baby is particularly sensitive to changes in routine, or if your family schedule does not allow for a later wake-up. You can begin this on the Tuesday before daylight savings. 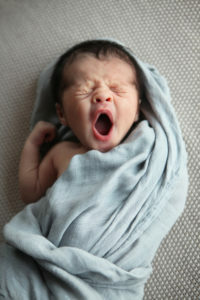 Prepare ahead of time by moving feedings, naps and bedtime earlier by 10 minutes each day. So if baby usually has her first feeding for the day at 7:30am, see if you can do that feeding at 7:20am. If she refuses, don’t force her, but you get the idea. Just try to make the routine adjustments as the day goes on. If her first nap of the day is typically at 9:30am, see if you can put her down closer to 9:20am. These small time shifts should help your baby to go down a bit earlier at night without having a child that is just too awake for an earlier bedtime. 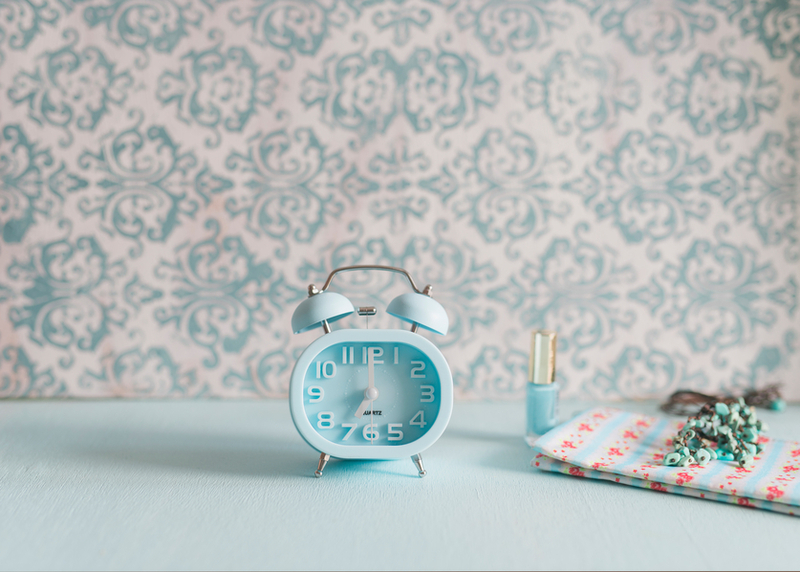 If all goes well, then on Sunday morning after the time change, your baby will wake according to the new time. So if baby typically woke up at 7am before the time change, she will now wake up at 7am according to the new clock. Her feedings and sleep times should now be adjusted to the new time. If you find it is still off a bit, (or if you did not start making these shifts so far in advance) just continue to shift in small time increments post time-change, until you are back on track. Be patient, things should be back to normal in a week. Adjust the light: Try to give your child at least a half an hour of natural sunlight first thing after waking up in the morning. This should help your child’s internal clock adjust to the time change faster. In addition, blackout shades can be very helpful if there is still sunlight coming into your child’s bedroom at nighttime or before wake-up time in the morning. Don’t Panic: Please remember that even if all this planning doesn’t go quite according to schedule, simply by keeping to a steady daily routine, most children will naturally adjust to the time change within a week or so. I know I feel a little out of sorts for the first few days after a time change, our littles will too! Trying to decide which childbirth prep curriculum to bring under the Kinspace umbrella proved to be a daunting task. At the core of Kinspace is inclusivity. It is my goal for every parent to feel supported without judgement, provided with education and resources that will nurture their individual paths as new families. In other words, parenting education is not about teaching parents how I would do things, but rather presenting a wide array of common best practices and guiding each parent to feel confident in making the perfect fit choice for their family. No family is the same, just like each birth is unique. I often hear disempowering statements made about birth that result in mamas feeling shame or remorse around their birth story. I also believe….and hold on to something here….every birth is natural. You had a baby? Awesome! You did it! It’s natural. As a psychotherapist specializing in postpartum depression and anxiety, what I often see on the postpartum end of things is moms having experienced trauma from their births, shame at how things went down and an overwhelming feeling of having let their babies and themselves down. I see mothers that have beautiful, healthy babies who are unable to enjoy their gorgeous little human because they fear that they caused irreparable damage to their children as a result of their c-section. I see moms with thriving babies who deeply fear they will never be able to have attached relationships with their child because they were unable to do skin-to-skin in that first hour after birth. I also see moms approaching birth with rigid expectations and plans rather than the sense of empowered flexibility necessary to be able to move through unexpected occurrences. The real quandary is how do we teach and empower moms to trust in the magic of their bodies, while also allowing them the emotional freedom to accept guidance or make alternate choices? This idea of educating without judgement always makes me remember one of my most favorite postpartum mamas. We will call her, Hannah. 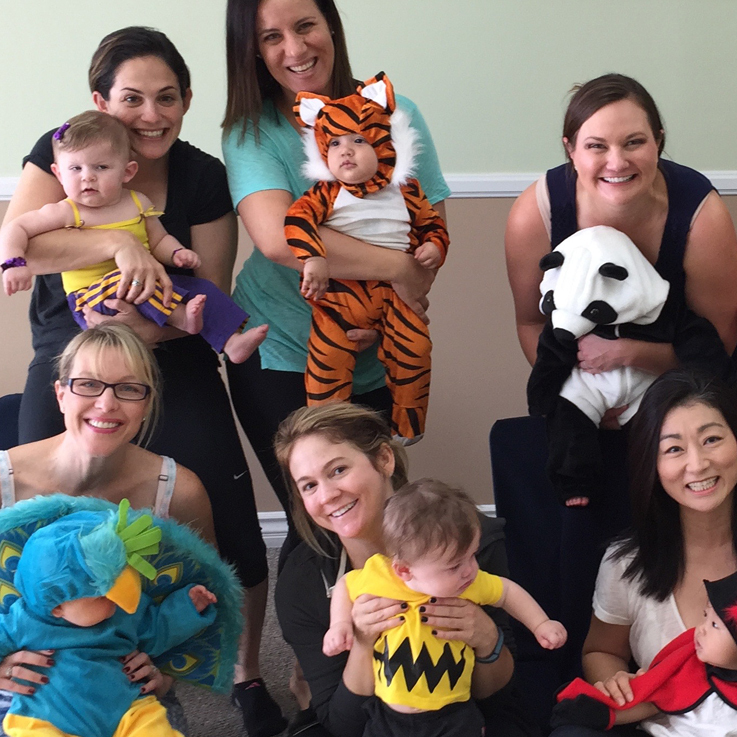 During the first session of my Mama + Baby groups, the moms share their birth stories. Hanna would probably describe herself as holistically-minded, but also quite Type-A. While bouncing her little one on the birthing ball, Hannah began her story by sharing her Birth Plan, which, being Type-A, was perhaps 12 pages long, and sounded glorious! She had a home birth planned, in a tub in her living room, surrounded by her doula, midwife and family. There was, of course, the perfect ambiance planned: music, candles, essential oils, the works. At some point it became apparent to the midwife that complications were beginning to arise, she made the call to move to a hospital to ensure mama and baby safety. Once at the hospital, and after many days of labor and hours of pushing, Hannah ended up having an Emergency C-Section. As I am listening to Hanna share her story, I am assuming we are headed towards a place of self-criticism about the birth of her beautiful son, and I am preparing myself to offer her validation and encouragement. But, I gotta tell you, what she said next not only surprised me, but gives me goosebumps each time I share this story. Yep….I still have the goosebumps! For the more seasoned mamas out there, you may already know, these tiny people come to this world with their own personalities and temperaments from the start. Figuring out how to parent in a way that suits your personal ideals and matches up with your baby’s temperament is the secret ingredient, right? For whatever magical reason, Hannah was able to tune into that wisdom in the moment, but can that be taught prenatally? I say, Yes! Enter McMoyler Method. I had the good fortune to meet and train with Sarah McMoyler, RN, and to say it was life changing for me would be an understatement. The message of McMoyler Method “Healthy Mom, Healthy Baby….However we get there”, is the common thread that can be felt throughout the curriculum. That message speaks to me as releasing parents from judgement or pressure to “get it right”. I am one of those people who really does believe that knowledge is power. If you have an understanding of the anatomy and birth process, you will be able to lessen the feeling that things are happening to you and feel a part of the conversation. Approaching your birth as if your are training for a big athletic event is another core principal that really speaks to me. Every athlete needs a coach! Partners can and should have an integral role in supporting mom through the birth. The reality is that the research shows that the more support a mother has during birth, the faster it goes and with less need for interventions. By giving parents a solid foundation of knowledge, coupled with practical coping tools, we take some of the fear away and leave behind a sense of empowered flexibility to take on this wild superpower that we have to birth babies. As a professional, as a mom, as a human, nothing makes my heart happier than to see a new mom embrace her inner Confident Badass, and that begins from the start. By shifting the narrative around birth, by allowing space for ALL birth to be natural, what I see, are parents that are now able to more comfortably navigate the postpartum period and experience the wonder of childbirth and the pride in bringing their tiny human to this world….however that came to be. I recently heard this story about a Gorilla who was raised in captivity. I am probably about to leave out approximately one million tiny details in this story, but It goes like this: once upon a time, there was a female gorilla named “Maggie.” Maggie was born and raised in a zoo, where for unknown reasons, she was the only female. At a certain point, it was decided that the time had come for Maggie to have a gorilla baby. The powers that be brought in a male gorilla, they did their gorilla business, and lo an behold, Maggie gave birth to a beautiful baby gorilla. Now, remember, Maggie, being raised in captivity, had never seen a mother and baby. When Maggie gave birth, she stared at her baby, and the zookeepers were shocked to observe that she looked almost confused, walked away without picking up, or feeding the baby gorilla. In the weeks to follow, no one was successful in getting Maggie to attach to her baby, let alone feed the baby. Sadly, the baby passed away shortly thereafter. Thinking this had to be an anomaly, the zoo keepers decided to give it another go, and Maggie became pregnant again. Now, I don't know who’s idea this next part was, but I am going to guess it was a mom, but someone decided that the problem was that Maggie had never seen mothers care for their babies, and she had never seen breastfeeding. The solution? Everyday women from Le Leche League volunteered to breastfeed their own babies in front of the gorilla area. They did this in shifts, so Maggie had daily exposure to moms and babies. Sure enough, when she had her next baby, the most amazing thing happened. Maggie looked at her baby and immediately pulled her baby to breast and fed her baby, mimicking the moms that had come to be her guides, her own mama village. In a sense, most of us in modern society are “raised in captivity.” Meaning, we may have not been around newborn babies, or witnessed a lot of breastfeeding before having our own children. One important predictor of breastfeeding success is, in fact, having seen breastfeeding before. Yes, breastfeeding is natural and normal, but because we have moved to a more private society, many moms need some guidance around breastfeeding. It’s tough to intuit something we have not seen. Sure, I had visited a friend or two that had had a baby, could I say that I was super comfortable with newborns, probably not. As awe inspiring as becoming a new parent to a tiny human can be, it can also be quite overwhelming and isolating at times. Somewhere along the way, we have lost our village. We have switched our view of parenting from an extended family, community endeavor, to something we need to manage on our own 24 hours a day, 7 days a week…..with little to no sleep. Somehow, some way , I managed to stumble into a breastfeeding support group in my son’s first month of life, which led me to a year long mommy and me group that I’m pretty sure saved me, my breastfeeding, and probably my sanity. Even though I was new to the city, I now had a sanctuary of other moms going through the same thing, was able to have a place to ask questions, share stories and even find humor in the dark times. I found my village. Parenting is not easy, and I truly believe we were not meant to do this alone. I created Kinspace out of this need. The need for parents to have the support, education and tools they need to feel confident in their new roles, as well as a community to share it all with. I hope to share my passion, my vision, and make this community our village. © 2019 Kinspace All Rights Reserved.